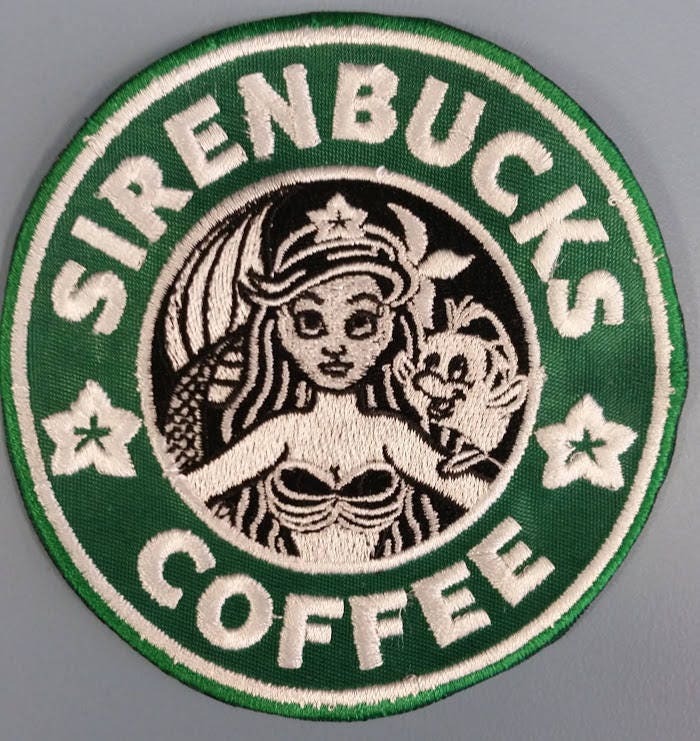 This Ariel Starbucks Parody patch is sewn with black, white, and kelly green thread. It is sewn onto a green patch background and measures approximately 4" in diameter. 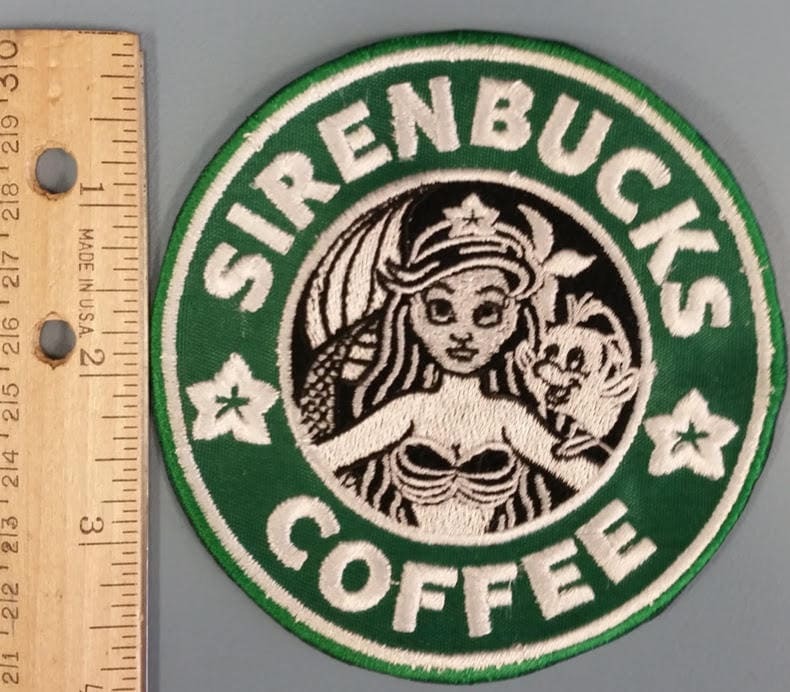 It has an iron on adhesive, so that you can iron on the patch if you'd like. 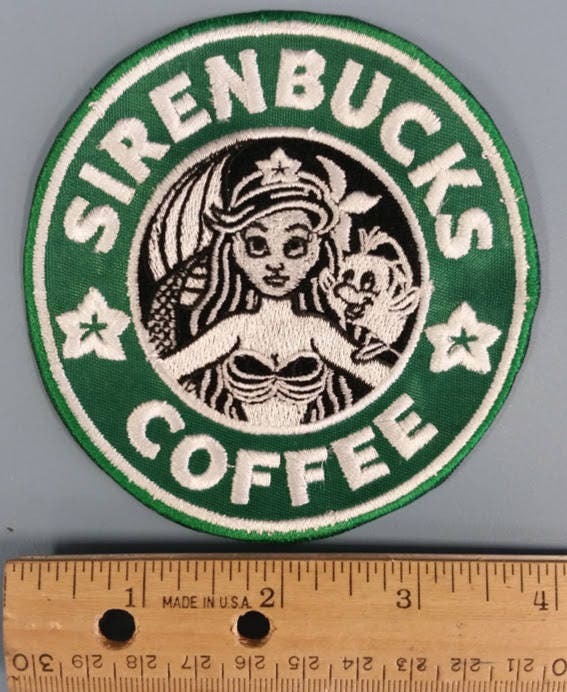 Check out some of my other patches as well that you may want to purchase along with this one. If using heat-press, use 320-330 degrees for 10-20 seconds, then turn garment over and press from the back-side for 15-20 seconds more. If using a hand iron, use setting between Wool and Cotton, no steam. 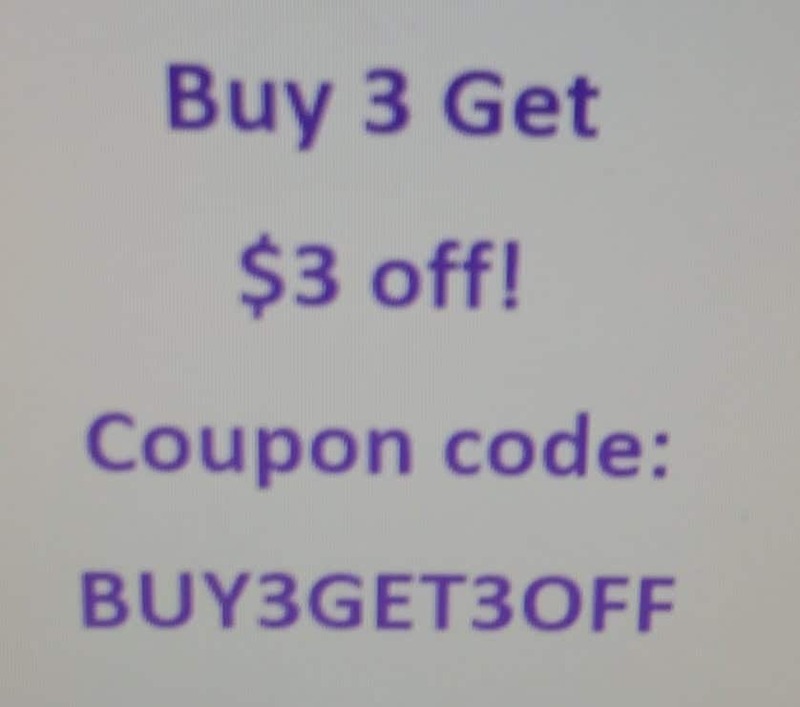 Use same dwell times. You’re done!